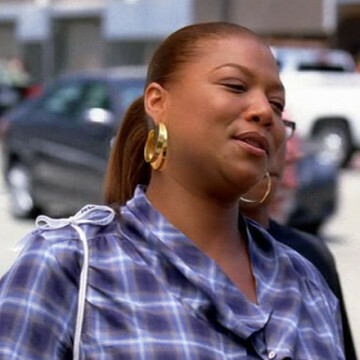 Queen Latifah (birth name Dana Elaine Owens) appears in the seventh season’s ninth episode. Ari spots her at the episode’s nine-minute mark and flags her down to discuss Amanda Daniels’ involvement with the NFL. Queen Latifah’s resume includes a successful career in music as well as roles in film and in television that have earned her a Golden Globe Award and two Emmy Award nominations.